The US President Donald Trump has arrived in Beijing on the latest leg of his five nation Far-East tour. He’ll spend two nights in the Chinese capital. He’s exepected to discuss trade and press his counterpart Xi Jinping to cut financial ties to North Korea and abide with UN sanctions. 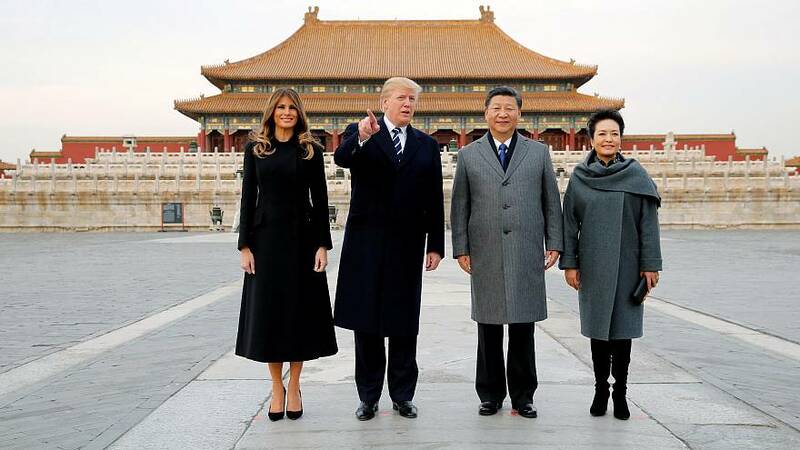 But before talks began in earnest the pair and their wives shown round Beijing’s Forbidden City, a visit described as an unprecedented honour. The trip to China comes hours after Trump addressed the South Korean parliament where he issued a now-typically fiery warning to Pyongyang over its nuclear weapons programme. “I hope I speak not only for our countries, but for all civilised nations, when I say to the North: Do not underestimate us and do not try us,” said Trump. However, his stark language didn’t go down well with hundreds of people who protested outside parliament. They called Trump a thief and accused him of using trade to pressure South Korea into buying arms.